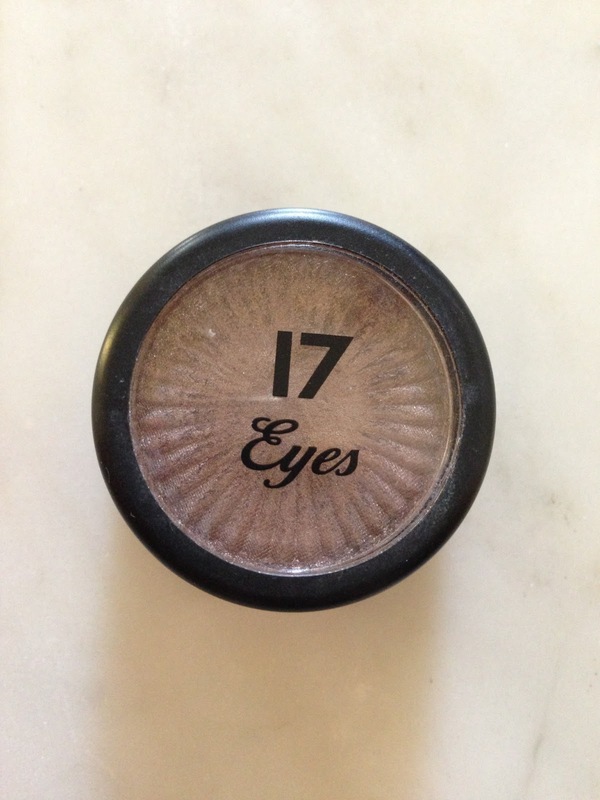 I’m not really sure why, but I was always a bit hesitant on picking up one of Boots’ own 17 brand makeup items. However, I was on the hunt for an eyeshadow I could use both day and night, which wouldn’t cost a lot and when I spotted 17 Solo Eyeshadow in ‘Mardi Gras’ at just £3.89 I thought I would give it a go! ‘Mardi Gras’ is a taupe colour, with a slight silver-ish shimmer. I’ve read on some other blogs that this may be a good dupe for MAC’s Satin Taupe, although I will have to try that myself to be able to compare. I was really, really impressed with the quality of this eyeshadow, as at just £3.89, it is really pigmented and has an almost butter-y texture. I found the colour compliments my green eyes very well, and have worn this both during the day and at night-time. 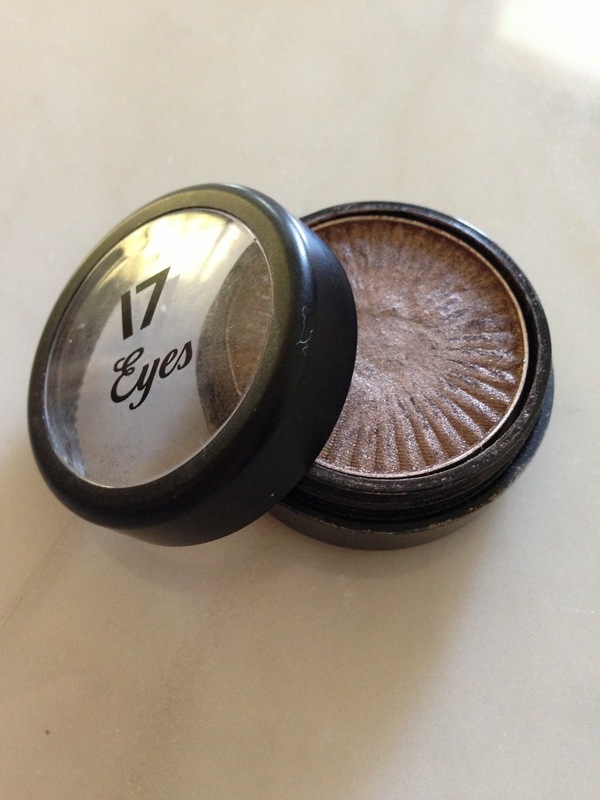 It looks lovely on its own, or blended to create a smokey eye effect. I can’t wait to try more of Boots’ 17 Solo Eyeshadows – Particularly ‘Statuesque’ and ‘Walnut Pearl’, which I’ve had my eye on for a while! What do you think of the 17 Solo Eyeshadow range? 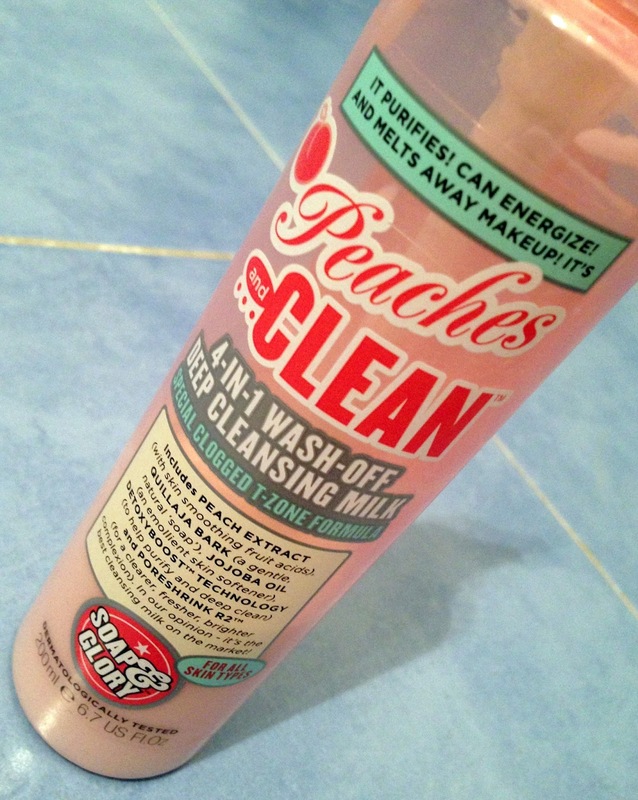 Soap and Glory’s Peaches and Clean! Peaches and Clean is described as a 4-in-1 deep cleansing milk. I’m not normally a fan of cleansing milk as the ones I have used in the past left my skin feeling quite greasy afterwards. However, since this is a wash-off one, I thought I would give it a try! Peaches and Clean includes peach extract to smooth the skin, quillaja bark to cleanse the skin, jojoba oil to soften the skin, Detoxyboost Technology which claims to help purify and deep clean the skin, as well as Poreshrink R2 for a “clearer, fresher, brighter complexion”! The first thing I noticed about the product was the smell, which I absolutely loved! I can’t really describe it, but it smells kind of peachy-minty. I found that one pump was enough for my entire face, unless I wore lots of make up, and I found that it really melted my make up and left my skin feeling really lovely and refreshed! In fact, I became slightly addicted to the smell and lovely refreshed feeling it left on my face, and sometimes used this several times a day! Another great thing about this product is that it did not irritate my skin at all. I don’t have particularly sensitive skin, however I did notice that recently some products, such as face masks tend to sting my skin. However, I had absolutely no problem with this. I highly recommend Soap and Glory’s Peaches and Clean to anyone looking for a great smelling cleanser that will leave your face feeling clean and refreshed! Soap and Glory is available from Boots.com and is frequently on offer!